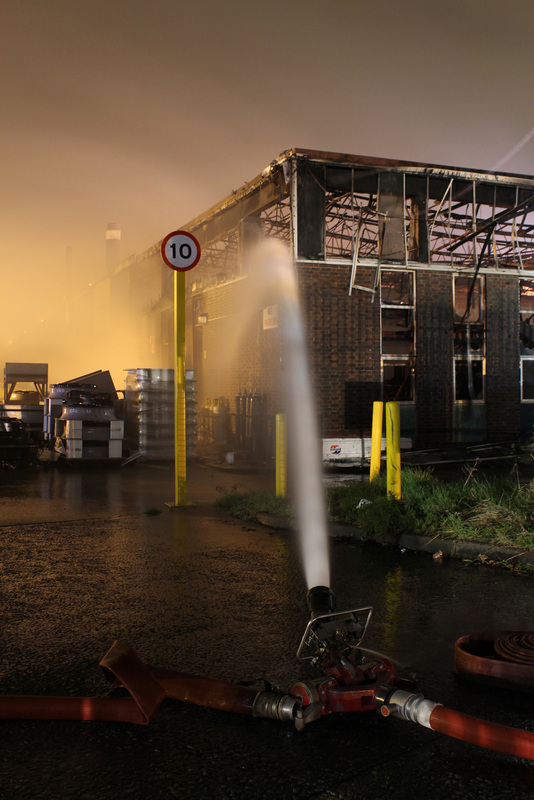 Nearly 100 firefighters were called to a big fire at an industrial estate in Fareham overnight. Hampshire Fire and Rescue Service were called to the Collingwood Retail Park on Frankport Way in the early hours of Thursday (27 February). Control operators mobilised fifteen appliances from Fareham, Gosport, Portchester, Cosham, Eastleigh, Redbridge, Hightown, Wickham, Waterlooville, Southsea, Botley, Droxford, Emsworth and St Mary’s Fire Stations, together with our Hazardous Materials Detection Identification and Monitoring Team (HAZMAT). On scene, HFRS are working in partnership with the South Central Ambulance Service, Hampshire Constabulary, Fareham Borough Council and Environment Agency to make the scene safe. At this time the cause of the fire is not yet known. There have been no injuries. For information on public health in the local area please contact Fareham Borough Council's Environmental Health department directly on 01329 236100.